I've been wanting to get into Amazon FBA for months now but haven't had the dedication or focus required to get started. 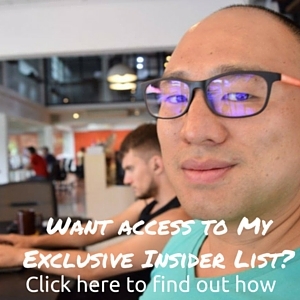 All around me are digital nomads getting into FBA as it's the hot new platform similar to what dropshipping was last year. Everyone's talking about it and it's exciting and new. It's something I wish I would have gotten into 4 years ago but also something I know still works today. Sitting on the couch here at PunSpace are two guys who have products on Amazon and at the next table over is a girl who has just started. It's an exciting topic and this week's podcast interviews a guy who has done both. 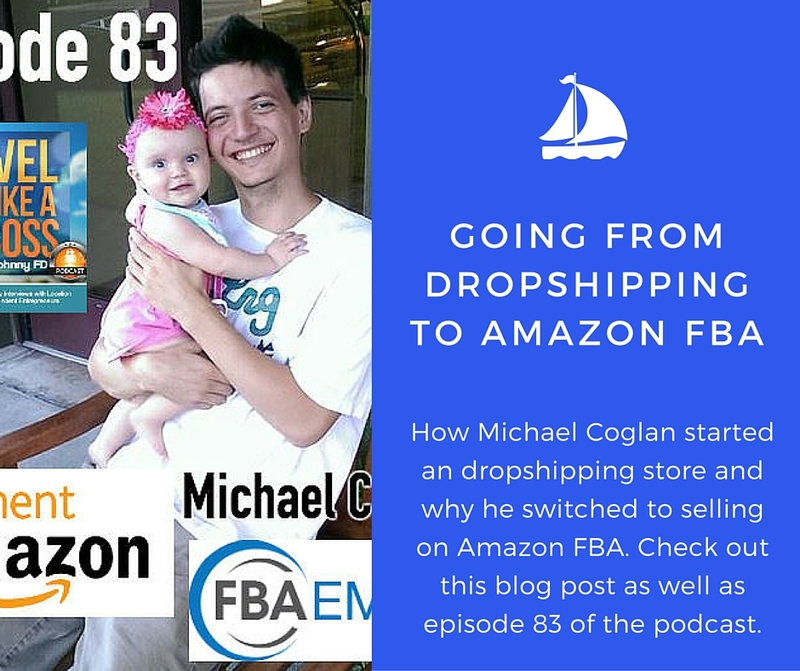 So here it is, going from drop shipping to Amazon FBA with digital nomad Michael Coghlan. 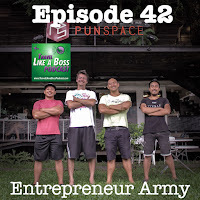 I met Michael almost two years ago in the private member forums of Anton's dropshipping course, then met him in person in Chiang Mai when his store started doing well and he decided to relocate himself and his new family from Hawaii. I interviewed him over skype for the podcast for episode 36 to ask him about freelancing on O-Desk (now Upwork) while he worked on his store. He was on the show again, this time in person for episode 42 after he made the move to Chiang Mai. 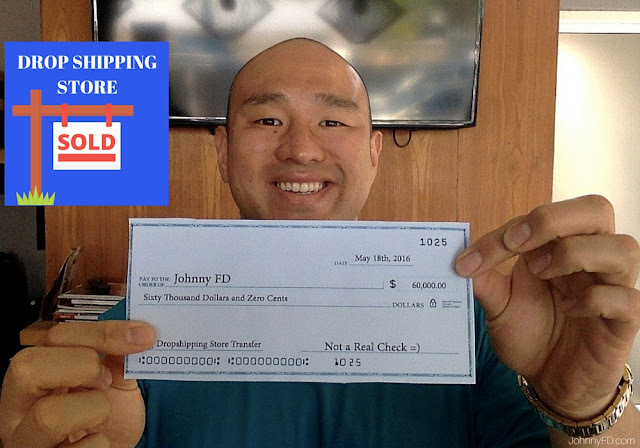 He became successful with his store, started making a few thousand dollars a month, then completely disappeared off the face of the Earth just a few days before the dropship lifestyle retreat. Good news is it wasn't a family emergency but instead, a very strange twist involving professional volleyball and an unbreakable bond with his coach. Listen the the entire episode for his story on why he stopped dropshipping and started selling on amazon in episode 83 of the Travel Like a Boss podcast, on the podcast app on your phone. Or listen to it embedded on Youtube here. 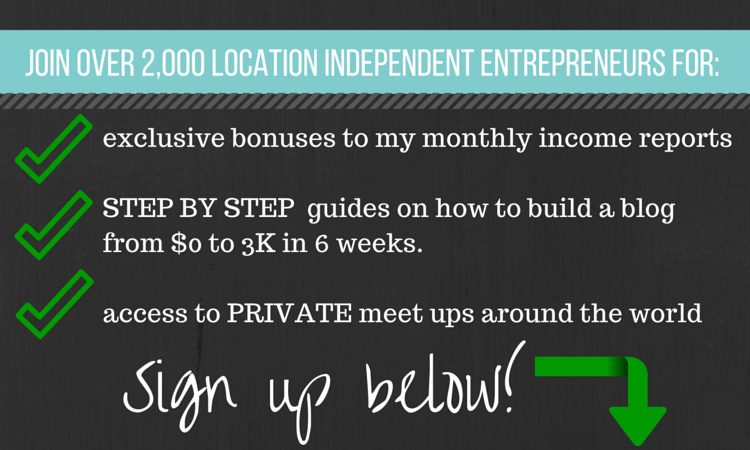 Now Michael is running Amazon FBA businesses and created the new membership course FBA Empire. If you're interested in a step by step course that teaches you how to create a product to sell on Amazon, Michael's course is brand new, up to date, and uses his actual product as a case study which is by far the best way to learn as you can work backwards from his success. 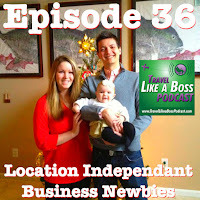 Hope you guys enjoyed this episode, it's good to hear FBA is still working and it's not too late to jump in. If you'd rather start where we both started and learn how to build a dropshipping store, check out the course we're both a member of, Dropship Lifestyle.